1830 Templeton Reid $2.50. K-1. Rarity-6. MS-61 (NGC).A phenomenal absolute and condition rarity that ranks among the finest certified for an issue that is elusive at all levels of preservation. Satiny surfaces are remarkably smooth for the assigned grade, there being only wispy handling marks and no sizeable or otherwise singularly mentionable blemishes. Both sides exhibit handsome honey-gold patina with glints of warmer deep rose iridescence outlining the design elements. 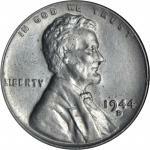 The strike is fully executed and ideally centered on the planchet with all letters and digits bold. Tied for finest certified at the leading third party grading services, this Condition Census coin would serve as a centerpiece in even the finest private and territorial gold cabinet. Although limited from the outset with survivors exceedingly rare today, Templeton Reids coinage is historically significant as the first private gold coinage of the early 19th century. Reids production was soon followed by the more extensive coinage of the Bechtler family in Rutherfordton, North Carolina. The design used for all of the Templeton Red issues is simple and purely functional, the obverse of the quarter eagle displaying the date 1830 in the center and the inscription GEORGIA GOLD around the periphery. On the reverse, the name of the firm T. REID is inscribed along the upper border, the denomination 2.50 is in the center, and the word ASSAYER is below. A broad dentilated border is noted for the obverse, but not the reverse. Much of what we know about Templeton Reid is based on the research of Dr. Dexter Seymour, whose estate included an example of this issue certified AU-58 by PCGS that sold as lot 1204 in our May 2013 New Orleans ANA Sale. When we (as Bowers and Merena) offered the Eliasberg specimen in 1996, which we graded as net VF-20, we included the following information:<em>"Gold had been discovered in Georgia during the 1820s. By the latter part of the decade news had spread and many fortune seekers had arrived in the district. Milledgeville, then the state capital, was one of the centers of activity. Templeton Reid, a gunsmith and clockmaker, sensed an opportunity to fill a commercial need by converting gold dust, then traded by weight in the area, into coins. 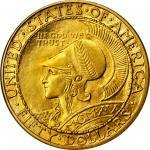 The nearest and only federal mint was at Philadelphia, which was hundreds of miles distant. For an entrepreneurial miner to send bullion there involved several weeks of time, risk of transportation, and loss of capital. On July 24, 1830, an article appeared in the </em>Southern Recorder<em> which told of Reids new enterprise:</em>"We have examined, during the past week, with great pleasure, an apparatus constructed by our very ingenious fellow citizen, Mr. Templeton Reid for the purpose of putting gold into a shape more convenient than that in which it is originally found. He makes with great facility and great neatness, pieces worth ten, five, and two and a half dollars. No alloy is mixed with it, and it is so stamped that it cannot be easily imitated. He sets out soon for the mines, and intends putting his apparatus into operation, as soon as he reaches them. "About $1500 worth of Georgia Gold has been stamped by our ingenious townsman, Mr. Templeton Reid, with handsome dies, showing the actual value of each piece of metal, in parcels of $2.50, $5, and $10....Mr. Reid informs us that the gold dust stamped by him will be taken at the Mint and at most of the banks for the value it purports on its face to bear. This will give it a pretty general currency, and make it answer the purposes of money...."<em>"Shortly thereafter Templeton Reid moved to Gainesville, which was situated closer to the center of actual mining activity. Coins were made and put into circulation, including one specimen which, unfortunately for Reid, found its way to a disgruntled citizen who styled himself anonymously as No Assayer in a letter to the </em>Georgia Courier<em> August 16, 1830, and complained that Reid was making nearly a 7% profit on his coinage scheme, an amount considered to be exploitative. According to No Assayer, Reids $10 pieces contained just $9.38 worth of bullion. Apparently Reid produced his coins from native metal without alloying it to a standard fineness. Although his pieces were worth somewhat less than the face value indicated upon them, it is not known whether Reid was seeking an unusually high profit from his coinage or whether the situation was inadvertent. In any event, this and subsequent newspaper accounts apparently served to diminish the reputation of his coins, and minting ceased. </em><em>Templeton Reids private Georgia mint only operated for about three months. 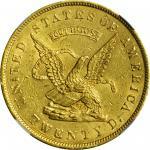 Coinage was effected during part of July, all of August and September and part of October, 1830. 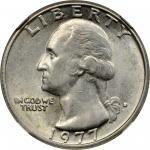 Many of his coins were subsequently melted by the United States Mint, accounting in part for their extreme rarity today. Dexter C. Seymour, who studied the series intensively, suggested that only about 1,600 coins were produced totally, including approximately 1,000 quarter eagles, 300 half eagles, and 250 eagles. Templeton Reid may have gone to California in 1849, for dies bearing his name were made with that location as an imprint, but if he did, facts concerning his activities in the far West are not known today. "</em>Ex S.H. Chapmans sale of the Charles Gregory Collection, June 1916, lot 2283; Henry Chapmans sale of the A.C. Nygren Collection, April 1924, lot 20; J.C. Morgenthau & Co.s sale of October 1933, lot 236; our (Bowers and Ruddys) Stanislaw Herstal Collection sale, February 1974, lot 803; our (Stacks) Lighthouse Collection sale, June 1978, lot 677; our (Stacks) sale of the Jerome S. Coles Collection, October 1983, lot 193; C.R.W. Collection.